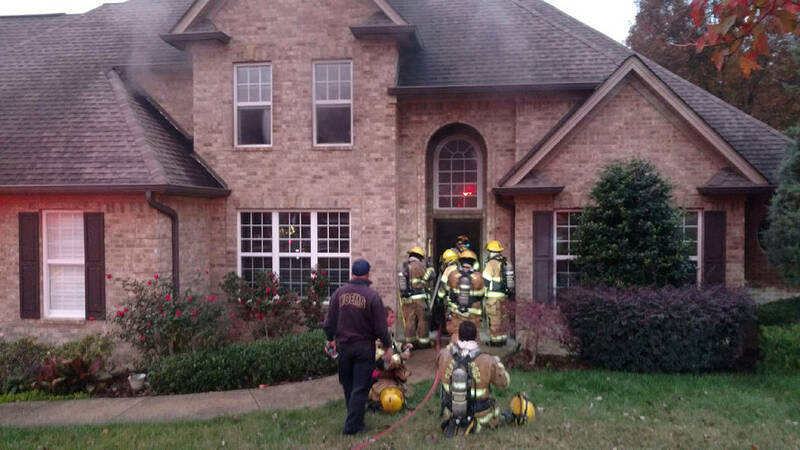 A home in Hixson was damaged Wednesday by a basement fire, according to a Chattanooga Fire Department news release. Firefighters were dispatched to a reported house fire in the 1900 block of Bay Pointe Drive with possible entrapment about 5:20 p.m.
CFD Training Chief William Andrews was in the area and responded to the scene along with firefighters with seven fire companies, according to the news release. Firefighters with Engine 11 were the first on the scene and found the fire in the basement. Andrews said the firefighters quickly put out the fire, containing the damage to the basement. The rest of the house had some smoke and water damage. A 75 year-old-woman and her 8-year-old granddaughter were home when the fire broke out, but they got out of the house uninjured. Chattanooga police, Hamilton County Emergency Services and Chattanooga-Hamilton County Rescue Rehab provided assistance on the scene.